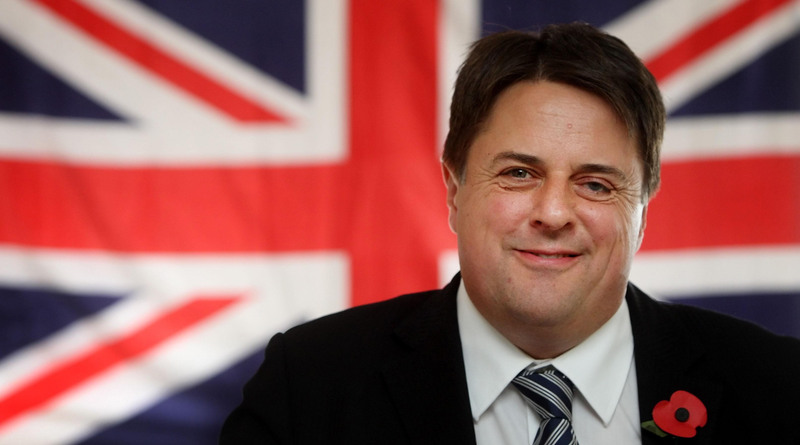 In 2009, Nick Griffin won a seat in the European Parliament after his party, the BNP, secured 132,094 votes*. We are now just over 4 months away from kicking him out. But the question is how? And what might come in his place? The BNP’s political performance is like that of rollercoaster. What goes up must come down. Wherever the BNP saw electoral success they very quickly saw dismal failure. On this rollercoaster we are about to hit the final dip that, rather than swooping them back to dizzying electoral heights, will leave them derailed. In the North West the BNP won 132,094 votes – enough to elect their racist-in-chief, Nick Griffin, to the European Parliament**. If opinion polls are to be believed it would be a fair bet to assume that the BNP won’t be retaining their seat in the North West. The BNP are to British politics what Ford Pinto’s were to advancements in automotive safety. Confident that this could play to their favour, UKIP activists were quoted in today’s Huffington Post saying they expected to win 50-75% of these votes – You know you’re a classy party when you’re celebrating mopping up the aftermath of a fascist party’s demise. Saying that, we can also expect UKIP to gain in other areas. They are increasingly positioning themselves as the protest vote – it would be a reasonable assumption to say that this will hit those in power in Westminster the hardest. The Tories and Lib Dems picked up 4 seats between them in 2009. I wouldn’t be surprised to see that half at the 2014 elections. Last but not least there are The Green Party who in 2009 missed winning another seat by a meagre 5,000 votes or, put another way, just 0.3%. With the right campaign there is little reason to think that they won’t secure one seat in the North West***. It is important, in relation to keeping our fascist friend Mr Griffin out of office, that The Green Party does beat the BNP. It is very hard to imagine the BNP securing a seat in 6th place – but if Labour and UKIP fail to perform as well as expected the BNP could once again slip through the backdoor if they finish 5th. So my conclusion is this. If you vote Labour you will help them secure a third seat, but in reality your vote will be one of tens of thousands that places them between the benchmarks for gaining 3 or 4 seats. If you vote UKIP you will contribute to both their regional and national rise in these elections. But a warning that I read on twitter today offers some humbling advice. Voting UKIP as a protest vote is like shitting in a hotel bed to protest about the bad service…only to realise you have to sleep in it that night. If you vote Liberal Democrats, you will be fighting for them to keep hold of their one elected representative. Sadly I think this might well turnout to be losing battle. If you vote Conservative you will be, in reality, fighting to put a stopper in the hemorrhage of votes flooding to UKIP. You might just enable them hold onto 2 elected representatives. If you vote Green you will contribute in all likelihood to them securing their first MEP in the North West. I would argue that tactically it is also the most useful party to vote for if your aim is to keep the BNP out. Lastly if you plan to vote BNP…well what can I say? Oh, and if you’re one of those inexplicable 25,000 people who voted for the Christian Party “Proclaiming Christ’s Lordship – can you please get in touch…I’ve never met one before! The North West will be a fascinating political battle ground over the coming months. We have to wait until May 22nd though to find out who will come out on top. * The 2009 North West election results can be seen here. ** On a side note, one of my personal highlights of my time spent working in Brussels was watching Griffin lost in the, admittedly quite confusing, European Parliament. *** The lead candidate for The Green Party is less sure about the demise of the BNP and wrote this article in the Huffington Post calling for unity to defeat the BNP…and get him elected. Whats Griffin done to the people of the North West for him to deserve losing his seat? has an excellent attendance record, puts britains interest first,was the only north west MEP to visit Lee Rigby’s barracks and lay flowers and helped stop the a war in Syria. I think freely and judge all politicians on what they do and this time I’m going to give BNP/Griffin my vote and so are all my friends. It’s a no-brainer. The Greens almost defeated the dreadful Griffin last time. They surely WILL this time. It’s the obvious tactical vote, as well as the obvious principled vote, in the NorthWest.